The resistance to the unjust authority felt by Japanese-American citizens who were forcible evacuated from their homes and imprisoned in concentration camps during World War II went beyond the organized efforts against the loyalty questionnaire I discussed in an earlier post. And the resistance was not without consequence. One of the best known detainees at Manzanar was Harry Ueno, the “Manzanar Martyr.” As head of the Manzanar Kitchen Workers Union, he was identified as a “troublemarker” for helping bring to light the theft and sale of inmate supplies like sugar by Manzanar authorities. Later arrested and at the center of the “Manzanar riot,” Ueno and 15 others were taken from the internment camp and moved to an “isolation center” near Moab, Utah. 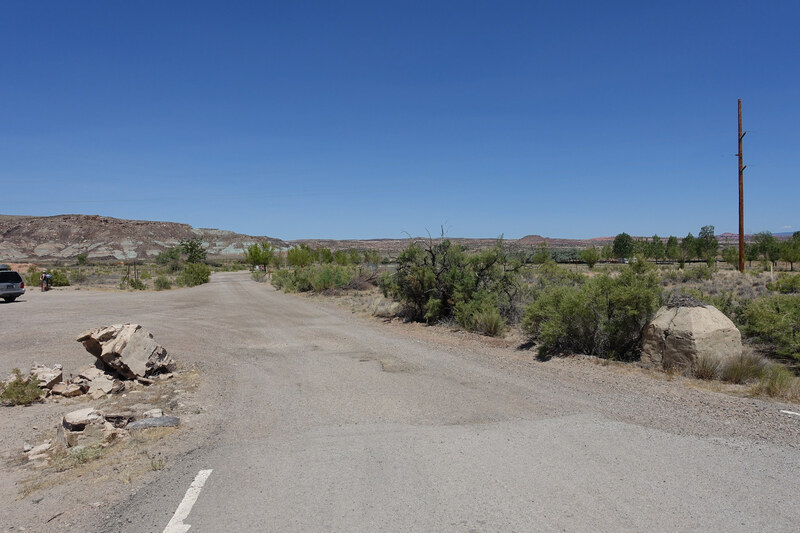 The Moab Isolation Center at Dalton Wells was only open from 11 January 1943 until 27 April 1943 and housed at its peak just 49 Nisei and Kibei “troublemakers” like Harry Ueno. On a trip through the National Parks of Utah, my wife and I made the (short) pilgrimage from Canyonlands National Park near Moab to Dalton Wells. 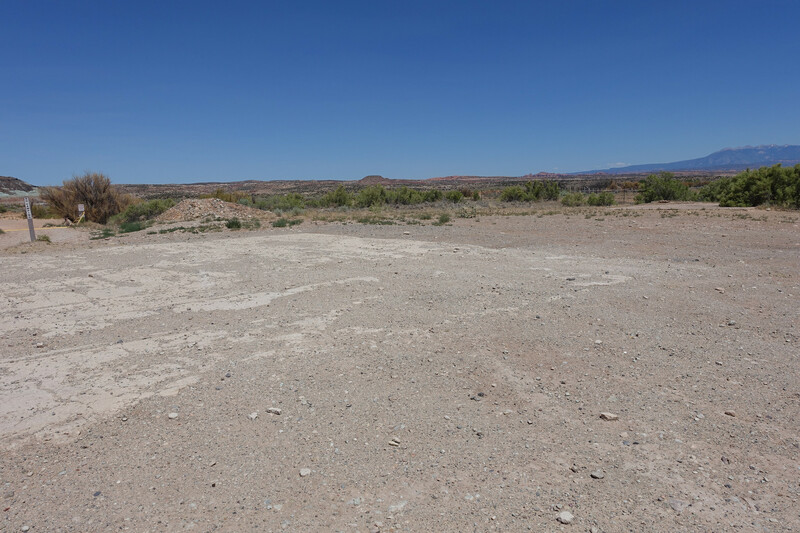 There we found little evidence of the existence of the Moab Isolation Center beyond the marker placed there. 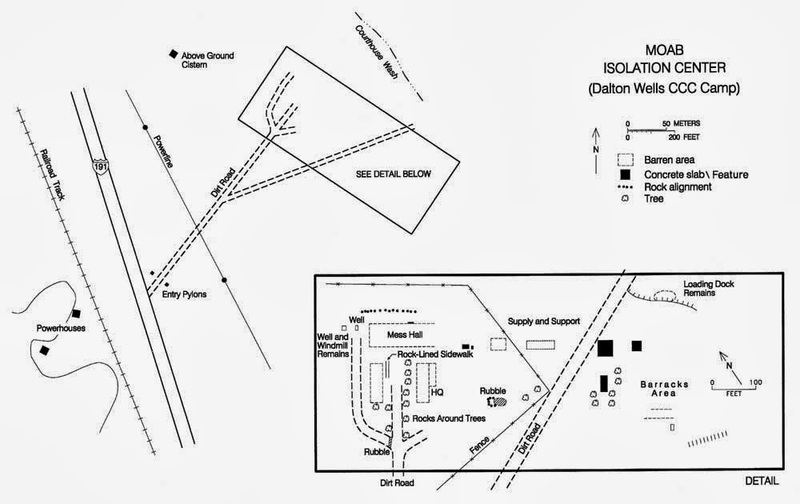 The previously mentioned National Park Service book, Confinement and Ethnicity, provides a drawing of the site as it existed in 1943. My wife and I found some concrete remnants marking the entrance drive, a few concrete slabs, and some stray posts. 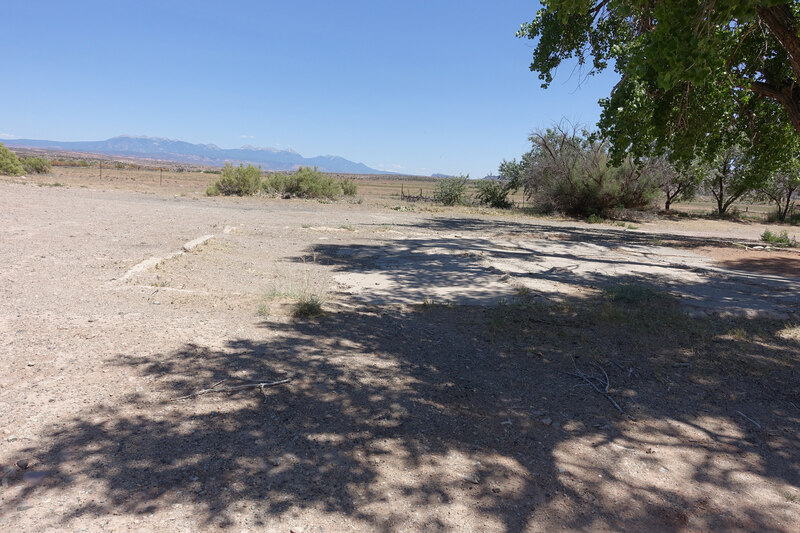 Like many former internment and isolation camps, nothing has been built at this site to replace what was once there. There was a reason these places were used as prisons. 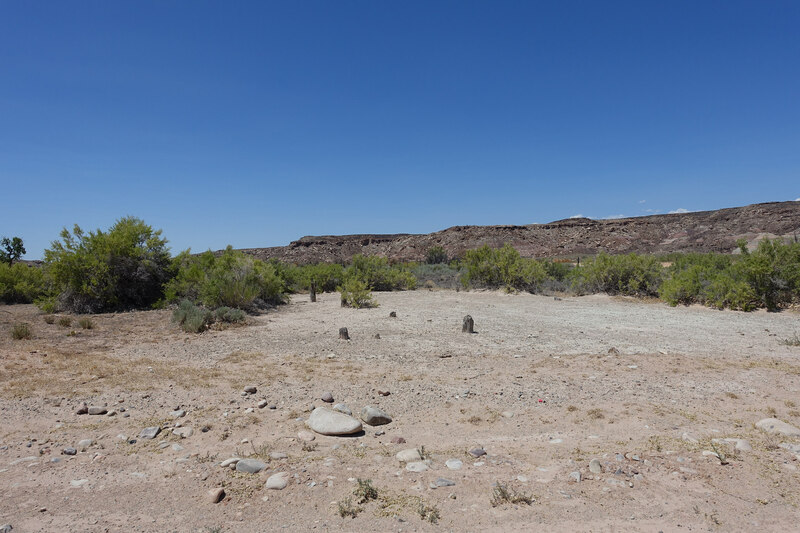 The sense of desolation at the site today no doubt pales in comparison to what the inmates must have felt when they arrived and during their short stay. 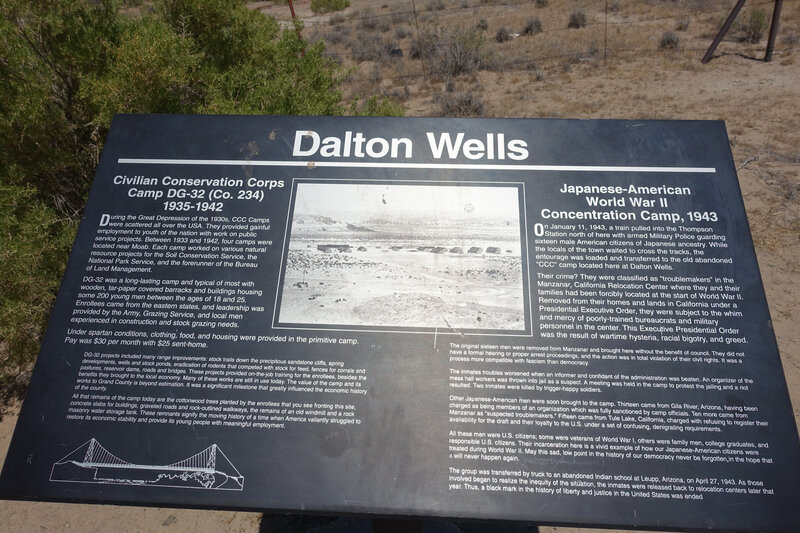 Of all the times I’ve been to Moab, I never knew of Dalton Wells Concentration Camp. I happened to be in Moab back in the late 80’s or early 90’s, I met an “Obasan” in Moab. I think she owned or was a maid at the motel we were staying at. I think I mentioned something about the “Camps” but, I remember distinctly how she shook her head and refused to talk about “it”. I would have thought that she was placed at “Topaz Camp”. As stated before, I never knew of a camp so close to Moab. I’m Third generation sansei; all my relatives who spent time in the “camps” have all passed on. Now that I’m retired, reading about the “Concentration Camps” gives me a chance to see what kind of “Crap” FDR put my people through. Thank you for your article; It’s something most people would “sweep” under the rug and think America can do no wrong. They shouldn’t kid themselves! ACC Tennis Tournament time. We always try to choose special whisky to wish the Deacs well. Going Japanese and Scotch this year. Missed today's close match to attend to family matters but we will be back for tomorrow's semifinals against NC State. Cheers, everyone. Do good work and be thankful.